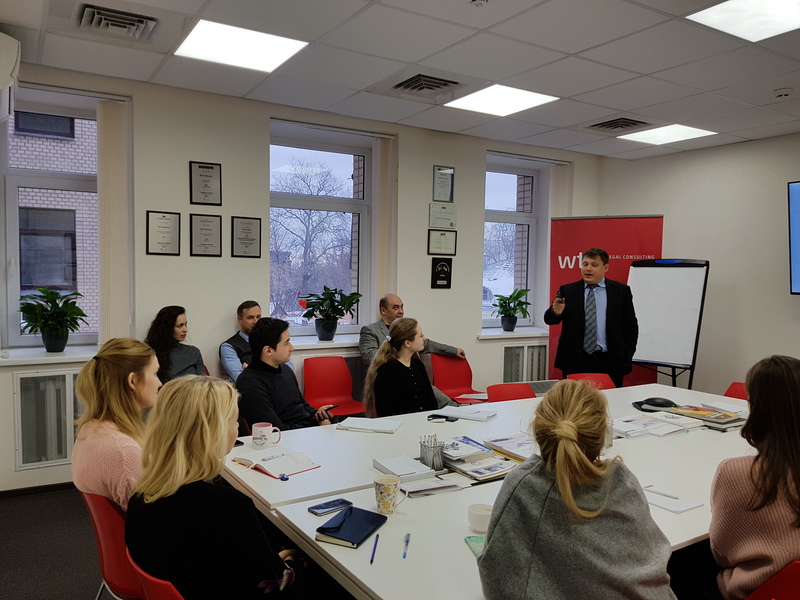 The research workshop on “Ethical aspects within communication of attorneys at law” was held at KM Partners Attorneys at Law on December 27, 2018. Alexander Minin, Senior Partner at , and Maxim Oleksiyuk, Partner at , delivered a speech on topical issues of legal ethics within communication between attorneys at law and clients, within internal communication of attorneys at law, as well as legal ethics within court case consideration and measures of disciplinary responsibility for violation of legal ethics. During this discussion attorneys at law not only analyzed rules of legal ethics, but also discussed general criteria of ethics and ethos, honesty, truthfulness and verity and their role in professional activity of every lawyer. The presentation is available by the link.